Bill Schwarz heading out on his world record setting 24 hour ride. 8. 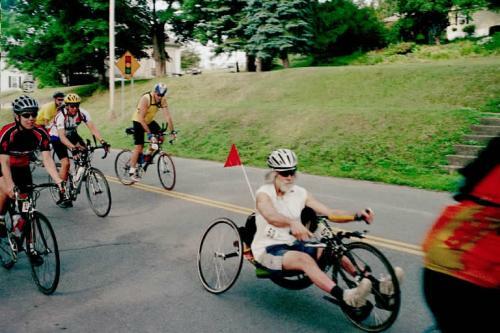 Bill Schwarz *** 59 Kinderhook NY 261.20 HAND CYCLE! * AGE GROUP WINNER! ** SET NEW COURSE RECORD! *** SET NEW WORLD RECORD! 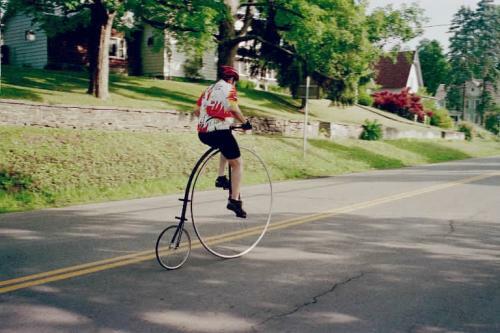 Bill Ingraham navigating the start on his high wheeler.